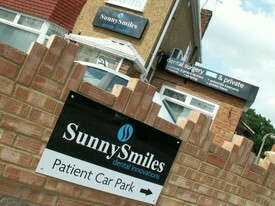 Our Billericay Practice in Essex is situated a stones throw from Billericay train station, half way up the High Street. We carry out all general dentistry as well as implants, Invisalign, and botox dermal fillers. There is a large public pay and display car park behind the practice. The practice is above Colbey's Jewelers, white stair case to the left hand side. The practice is a two surgery practice but unfortunately does not have wheelchair access.